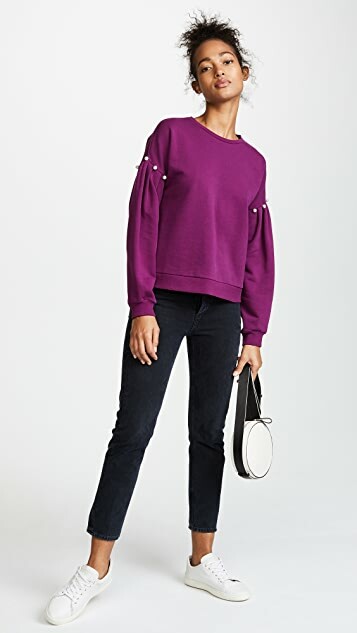 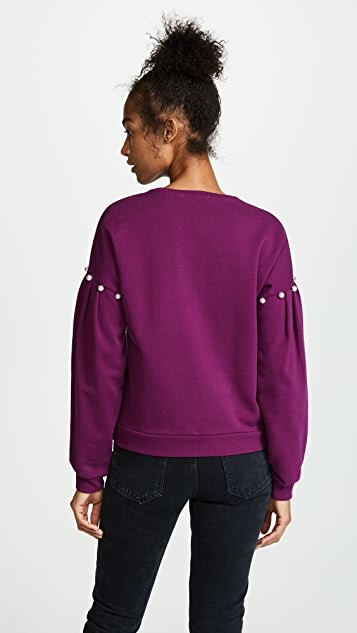 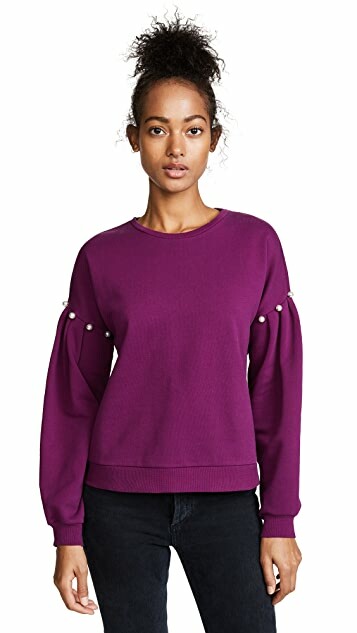 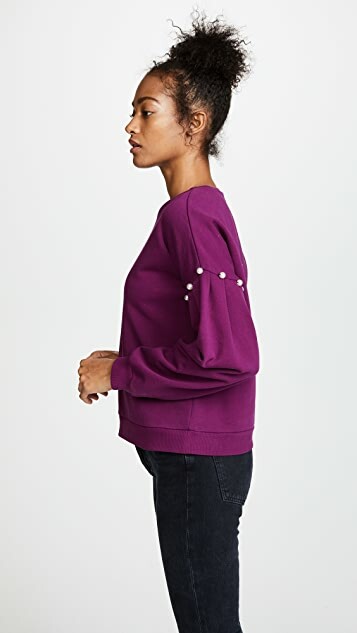 This Rebecca Minkoff sweatshirt is trimmed with imitation pearls along the dropped shoulder seams. 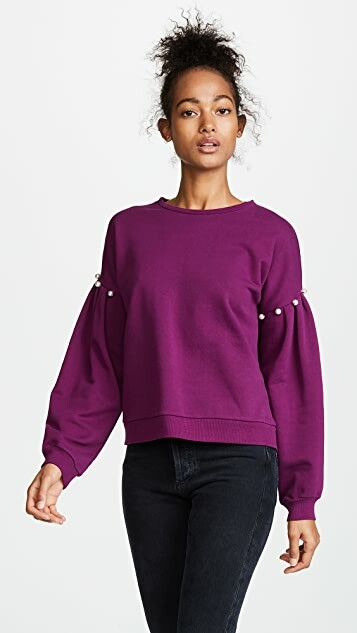 Pleated balloon sleeves with cinched cuffs. 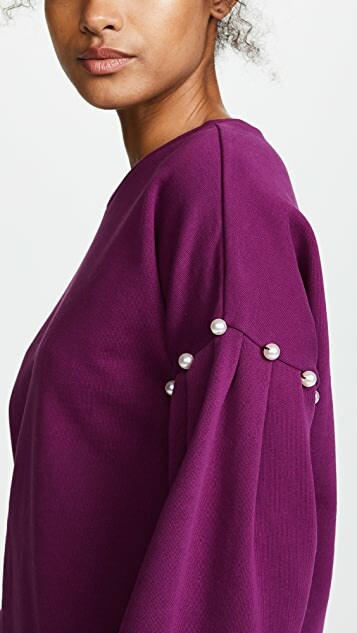 Banded edges.